This morning I had a 7 am meeting. Meetings that early make me consider doing all sorts of things to myself.... like jump off a two story building... or drill a screwdriver through my brain... or crawl through burning hot coals. or allow scorpions to eat through my stomach... or strangle myself with my own hair. Oh, I'm sorry. Too graphic for you? I don't really like 7 am meetings. I arrived at the meeting a hair late, (are we surprised?) found a spot in the back, and pulled out my new phone to keep me entertained. The principal got up to speak. I could tell it was going to be important from his stance. You can tell a lot from a man's stance, you know. He cleared his throat. "I have just one thing I need to tell you faculty today..." Something about what he was going to say was clearly making this man uncomfortable. "Please do not let our students reproduce in the hallways anymore." That's what principals are for. P.S. DON'T FORGET! Today is the last day before the holiday giveaway. If you haven't already, JOIN THIS BLOG to be valid to win one of two jewelry pieces. (Click the join button on the top right of the page. Easy as that.) If you've already done that, POST YOUR FAVE ENTRY TO FACEBOOK. It is such an easy way to win free stuff! Come on, don't you people like free?!? The drawing will be tomorrow (Wednesday) at five. And even if you aren't a fan of jewelry or drawings or hoaxy giveaways, just become a follower anyway. It'll make my whole darn day. 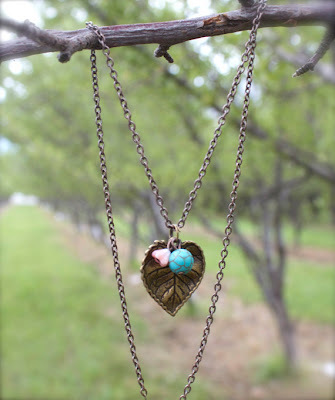 Go here to see jewelry options and don't forget to check back in tomorrow evening for the winners!